About a dozen navy SEAL divers and other rescuers re-entered a partly flooded cave in northern Thailand on Tuesday morning to search for 12 boys and their soccer coach who've been stranded three nights in the sprawling caverns cut off by rising water. Even though more rain fell overnight, the initial chambers inside the cave were dry. A power line was extended into the cave to provide light and ventilation and help divers communicate with those outside. Navy Lt. Naponwath Homsai said the divers will enter the water after they reach a chamber farther inside that was flooded almost to its ceiling on Monday. "We hope that the water level has gone down but we will have to see. Today we will try to find passages which are under the water that hopefully will lead to other chambers." The sprawling cave complex extends several kilometers and has wide chambers and narrow passageways with rocky outcrops and changes in elevation. Still, officials have said they are hopeful the boys found a safe space away from the floods. 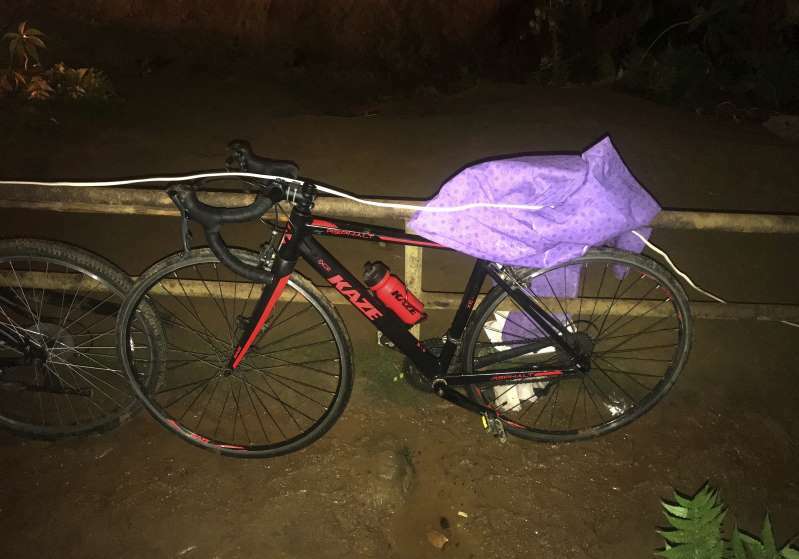 The boys, aged 11-16, and their 25-year-old coach were believed to have entered the Tham Luang Nang Non cave in Chiang Rai province late Saturday afternoon. A mother reported that her son did not return from soccer practice that day, setting off the search. Rising waters Monday evening frustrated efforts to search farther in the cave, and the efforts were halted temporarily. During the night, rescue teams and electricians extended a power line 1 kilometer (.6 miles) into the cave. Parents waited overnight in tents outside the cave entrance as rain poured. Medics sat in a tent nearby, and the bicycles, backpacks and soccer cleats the boys left behind remained at the entrance. Naponwath said late Monday that other shoes and bags belonging to the group had been left in a cave chamber, and "We believe the students have gone further in." Tuesday morning, relatives and others performed a ritual calling for those who are missing. They played drums and gongs and two relatives held fishing nets as symbols to fish out lost spirits from the cave. Organizer Jiratat Kodyee aid the ritual was a traditional way of showing support for the boys' families. At a prayer session the previous evening, some relatives walked inside the cave entrance, where their cries echoed off the walls. "My son, come on out! I am waiting for you here!" one woman cried. Another kneeled down near the bicycles and prayed, asking "Where is my child?" Officials are hopeful there are still safe spaces in the cave complex despite the flooding, Chiang Rai Deputy Governor Passakorn Bunyalak told a news conference.